Today I’m visiting TECMO KOEI’s offices. I feel I’m intruding rather, coming here at nine in the morning, but I need to leave at 11am because of something I have to do in Kyoto this afternoon. Are you usually here from 9am, by the way? I see. (laughs) Then I’m sorry to have caused you such trouble. Since I had the opportunity, however, I thought it would be nice to talk to all of you at your workplace, seeing as to how you actually worked directly on the creation of Metroid: Other M. Thank you very much for gathering here at 9am today. Right, I’d like to start by asking you to introduce yourselves, one-by-one. Let’s start with the four of you from Team NINJA1, and Nagasawa-san from Taiyo Kikaku2, the company responsible for cinematic production. 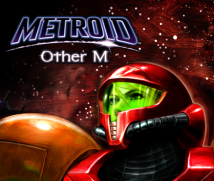 Could you explain what your roles were on Metroid: Other M? 1 Team NINJA is a development team within TECMO, responsible for the development of the Dead or Alive fighting game series and the NINJA Gaiden action game series. 2 Taiyo Kikaku co. ltd. is a cinematic production company with headquarters in Tokyo. They perform design and production in a range of genres, from TV commercials to web content, exhibition cinematics and CG. Did you start with Super Metroid 3 when you were in elementary school then, Koike-san? 3 Super Metroid was an action game released for the Super Nintendo Entertainment System (SNES) in March 1994 in Japan and in July 1994 in Europe. It was the third game in the series. No, I started before that. I’ve been playing ever since the first Metroid 4 that came out on the Family Computer Disk System. It never crossed my mind that I’d have the opportunity to work on the development of the series, so it was a real honour for me to be involved with this project. First of all I was told that they’d like me to present the background music, so I started off by creating three songs that Sakamoto-san5 and his team listened to. One of those songs was made with a similar atmosphere to the worlds of the previous games in the series, but that song wasn’t given the OK. As a result, I started with a real feeling of fumbling around, thinking ‘Huh? What kind of world is this going to be?’. It was a lot of fun, though. I even shed a few tears, too. (laughs) 4 The first game in the Metroid series was an action game released for the Family Computer Disk System in August 1986 in Japan. The Family Computer Disk system was an attachment to the Japanese NES system, and ‘The Legend of Zelda’ was one of the launch Disk Card games for the system in 1985. In Europe, the first game in the Metroid series was released for the Nintendo Entertainment System (NES) in January 1988. 5 Yoshio Sakamoto is Metroid: Other M’s producer. 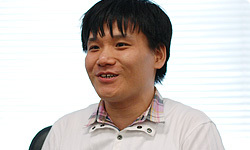 Apart from the Metroid series, he has been involved in the development of games such as Famicom Tantei Club, Card Hero and Tomodachi Collection. 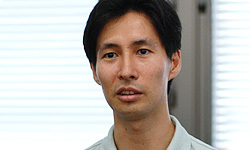 He is the manager of Production Group No.1 in Nintendo’s Software Planning & Development Department. He took part in the previous Iwata Asks session, Metroid: Other M - Vol. 1: The Collaboration. I’m Otsuka, chief planner at Team NINJA. Until now, I’d been making close-range fighting games like Dead or Alive6, but this was the first time I’d dealt with a protagonist who uses a beam projectile weapon. That in itself was enough to make it very different to the games we’d been making at Team NINJA. On this project I was responsible for creating a game design that could deliver to the player the enjoyment of exploring found in Super Metroid and Metroid: Zero Mission 7, as well as the story that Sakamoto-san was especially focused on. 6 Dead or Alive is a 3D fighting game series developed by Team NINJA and published by TECMO. The first game in the series was released in October 1996 in Japan. 7 Metroid: Zero Mission is an action game for the Game Boy Advance, released in Japan in May 2004 and in Europe in April 2004. It is the fifth game in the series. So it’s the first time that you’ve been in charge of creating things thought up by people from other companies, is it? That’s right. That was a big challenge for us. During development, we had various thoughts about how Samus’s movement should be realised, but rather than just thinking about it, we proceeded with a feeling of ‘we’ll make it first and show it to Nintendo’. In the end, I think it was an excellent collaboration where both sides contributed good stuff. You felt that you were able to achieve things that neither company could have achieved independently, then? Yes, I felt that we did achieve such things. The process of creating this game was a succession of happy moments for me. 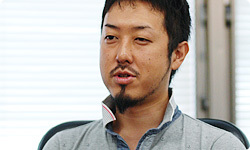 I’m Saito, and I lead the cinematics and design teams at Team NINJA. I was an art director on this project, along with Morisawa-san from Nintendo. My participation in this project started with reading Sakamoto-san’s scenario, and my first impression was ‘there are an awful lot of depictions of characters’ thoughts and feelings’. When it came to creating the characters, the protagonist Samus wasn’t the only one with an individual personality. Many of the supporting cast are also individuals, so we started by coming up with ways of creating base models that would allow us to depict them in an appealing way. This also entailed thinking about the way the game’s stages were put together. I’m Nagasawa from Taiyo Kikaku. We usually produce cinematics related to adverts, such as TV commercials, but I’ve also worked with Team NINJA for about six years, producing things like CG cinematics for games. That connection was part of the reason I came to work on this project.My role on this project was to work on the production of the scenes created by Kitaura-san8, the cinematics director, in order to make them a reality. While doing the production, I also had to think about how to implement and present the scenario that Sakamoto-san had written. I also worked as Kitaura-san’s assistant and as a go-between him and Sakamoto-san. While I was doing this I would think about how we could render Samus’s thoughts and feelings in more detail, which is what Sakamoto-san was aiming for. 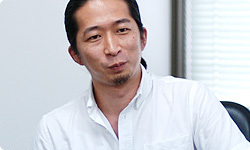 8 Ryuzi Kitaura is the executive director of cinematics for this project. He represents D-Rockets co., ltd., a CG cinematic content production unit. He took part in the previous Iwata Asks session, Metroid: Other M - Vol. 1: The Collaboration. Thank you very much. 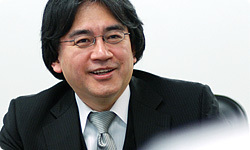 Now then, this is a topic we discussed in the last ‘Iwata Asks’, but I think the honest impression of a lot of people out there is: ‘Why on earth are these people working together?’ I therefore want to put this question to the people from Team NINJA: How did you feel when you heard ‘we’re going to be making a game with Nintendo’? What about you, Saito-san? When I first heard about it? Hmm, what should I say...? It really felt like it was happening to someone else. So it didn’t feel at all real? That’s right, it felt completely unreal to me. So you started to get the faint realisation ‘I can’t ignore it any longer, I’m going to be part of this project’, did you? Yes, that’s it. In the end, though, when I was having a drink with Hayshi-san9, the leader of Team NINJA, it was me who told him ‘I want to do it’... I eventually just dived in of my own accord. 9 Yosuke Hayashi is the director of this title. 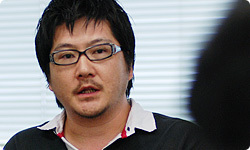 He is the leader of TECMO KOEI GAMES’s Team NINJA. He took part in the previous Iwata Asks session, Metroid: Other M - Vol. 1: The Collaboration. So you volunteered, did you? In the end, that’s what it was. I said ‘I want to do this with you, Hayashi-san’. What did you think as chief programmer, Aramaki-san? My first impression was ‘no way!’. I think my impression was the same as that of the people you mentioned, in that I thought the field in which we’d previously specialised was at the opposite extreme to Nintendo. Having said that, I also thought it would be quite interesting to make one game with a company that was so completely opposite to us. So although you thought ‘no way!’, this was borne more out of curiosity and interest than opposition, was it? That’s right. The strongest feeling I had was one of anticipation and excitement. How about you the chief planner, Otsuka-san? Originally, my sense of Metroid was that it was a shooting game. As a result, I had feelings of doubt at first, thinking ‘why have they come to Team NINJA to discuss a shooting game?’. And not a close-range fighting game, you mean? Yes. I even went to Hayashi-san for confirmation, and asked him ‘are we really doing this?’. However, I also wondered what kind of game we could create if we fused together the best parts of a shooting game and the best parts of a Team NINJA close-range fighting game. I couldn’t imagine it at that moment in time, though conversely I felt ‘couldn’t we make something new, something that hasn’t been seen before?’. I was really excited. And what did you think as chief sound engineer, Koike-san? As I mentioned before, I love the Metroid series, so when I heard the word ‘Metroid’ being spoken within Team NINJA, I thought ‘is this a dream?!’. I did! (laughs) Naturally, when I started working at TECMO I never thought I’d have the opportunity to work on a Metroid game, no matter how much I loved the series. When this project was officially confirmed, therefore, it really did feel like I was dreaming.